This site is certified 128 bit encryption secure by Geo Trust. 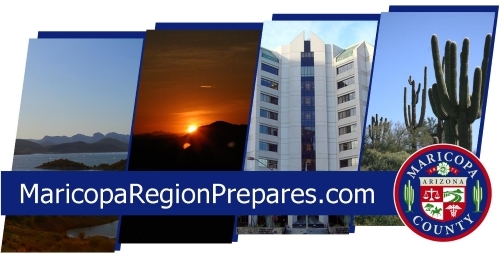 The Maricopa Region of Arizona has initiated a comprehensive project for the purpose of developing Continuity of Operations Plans (COOP) and Emergency Operations Plans (EOP) for Maricopa Region municipalities and departments. For this project, the Maricopa Region selected BOLDplanning and their web-based planning system designed to assist government organizations in the COOP and EOP plan development process. The planning system guides users through each step of the planning process and helps develop a COOP/EOP that matches the required planning guidelines, including Continuity Guidance Circular 1 & 2 (CGC1/CGC2), Comprehensive Preparedness Guide 101 (CPG101), and the National Response Framework (NRF). The BOLDplanning system has been customized to meet the specific planning needs of the Maricopa Region and has been deployed via the internet at www.MaricopaRegionPrepares.com for this region-wide planning initiative. For questions or technical assistance, please contact us at help@BOLDplanning.com. Copyright © 2004 - 2019, BOLDplanning, Inc., All rights reserved. No problem, you can create a new password quickly and securely. Simply complete the information below and click "SUBMIT." No problem, simply complete the information below and click "SUBMIT."